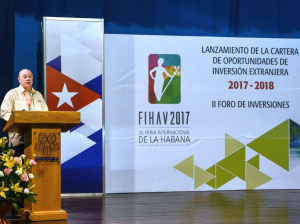 CUBA STANDARD — Cuba has received commitments for $2 billion in foreign investments in 2017, with 30 agreements signed so far this year and more to come, said Foreign Trade and Investment Minister Rodrigo Malmierca during the opening of an investor forum at this year’s Havana International Fair. “There are another 80 negotiations underway, 15 of which are very advanced, and will probably authorized before the end of the year,” Malmierca said, adding that the 15 advanced projects total more than $1 billion. Eight of the 30 agreements are for projects in the Mariel Special Development Zone, and 11 are for 100% foreign-owned projects. More than 200 foreign company executives signed up for negotiations at the investment forum. 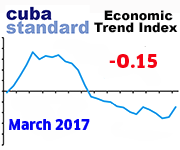 The record amount — closer to what Cuban economists believe is needed for sustained economic growth — suprised observers both in and outside Cuba and seems to point at an acceleration in the approval process. In July, Malmierca said there were 13 agreements in the first six months of the year, with $1.346 billion committed, but over two years. To be sure, Malmierca did not provide any details about the new investments. A Spanish consortium, for instance, just announced it formed a joint venture that plans to eventually build a €1 billion golf real estate project at the Mariel Zone. 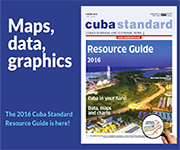 However, funding for real estate developments in Cuba has not been forthcoming, pre-sales have not begun, and these projects typically get built in phases; two other golf developers had planned groundbreaking last year and early this year, but nothing has happened. Also, a British-French consortium that wants to build a solar farm at Mariel is struggling to obtain funding for the project, according to observers. Due to the slower-than-needed investment flow, in the run-up of the fair — the country’s annual business showcase to the outside world — Cuban economists and officials engaged in soul searching. 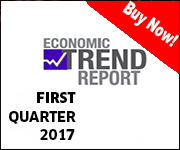 “Even though it’s accelerating, external capital still enters slowly,” he added. U.S. sanctions cannot entirely be blamed, and “internal obstacles” deserve equal or more attention, Terrero said. Terrero also cites attitude — “doubts, fear of markets, and deep, deaf resistance” — as a problem, particularly when foreign companies want to hire Cubans or contract services in Cuba. The Cuban official in charge of foreign investment, in a recent interview with Granma, readily admits to problems. She also said that Cuban state company executives need training about foreign investment, and that agricultural and infrastructure projects in the country’s “investment portfolio” don’t find takers. This entry was posted on Wednesday, November 1st, 2017 at 12:49 pm	and is filed under Top Stories. You can follow any responses to this entry through the RSS 2.0 feed. Both comments and pings are currently closed.